See more ideas using Majestic Oak in our gallery here. Click on all of the images to see all included in this kit. Could not fit all on one preview! 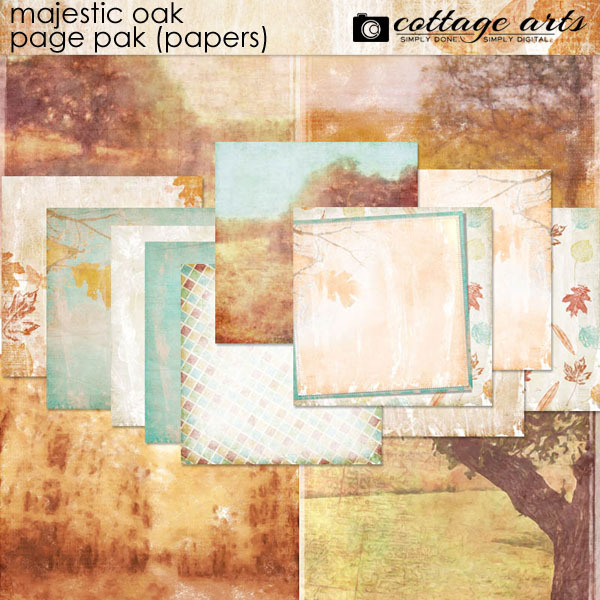 This stunning all-new botanical collage kit features 14 - 12x12 papers and 50+ elements and brushes in a sampling of our most popular products: layered psd Scrap.Templates (1), Scrap.Frames (6), Click.Masks (1), Off the Beaten Path 12x12 Papers (5), Stamps & Brushes (25), hand drawn and painted Scrap.Words (4), Michelle's 12x12 botanical collage papers (9) and our realistic, touchable elements. 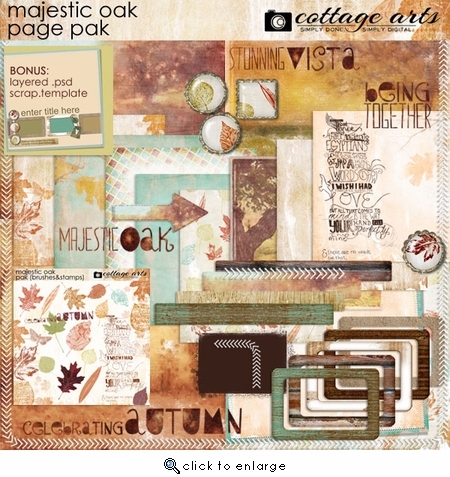 ABR brush set and layered Scrap.Template compatible with Adobe Photoshop CS+ and Photoshop Elements 5+. Everything in all of the previews is included (except leaf dangly in second image)! 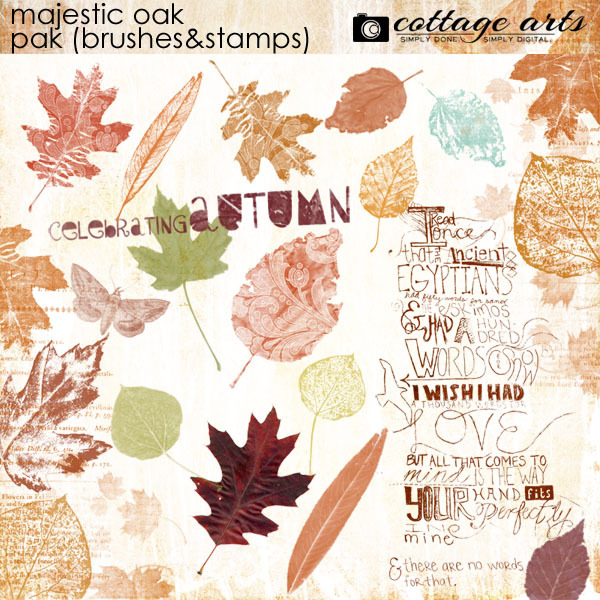 Also includes Scrap.Template instructions and how to make them your own, links to 2 Click.Mask tutorials, using Brushes tutorial, and a How-to for creating your own realistic drop shadows. That's 5 tutorials!